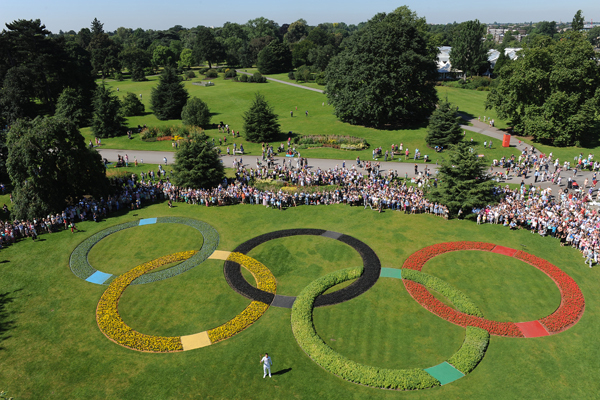 Day 67 (24th July): Tennis player Oliver Golding holds the Olympic Flame in between the Olympic Rings at Kew Gardens, London. 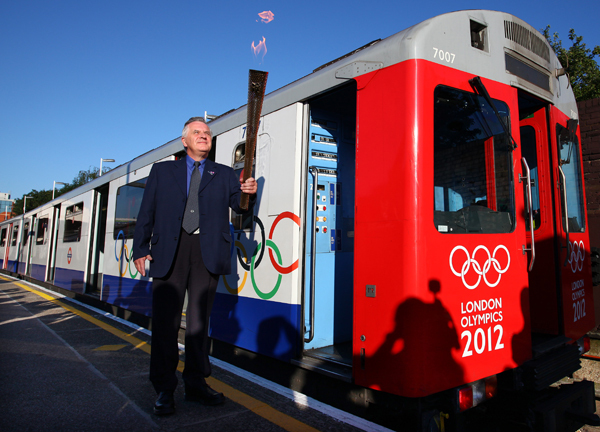 London Underground employee John Light carries the Olympic Flame onto an underground train at Wimbledon Station. 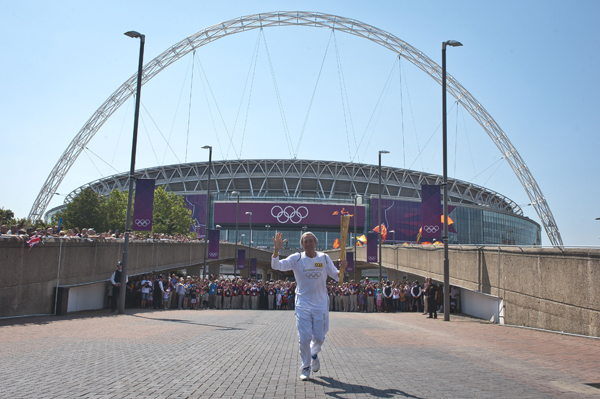 Day 68 (25th July): Former World Cup winning footballer Gordon Banks carries the Olympic Flame down Wembley Way, at Wembley Stadium. 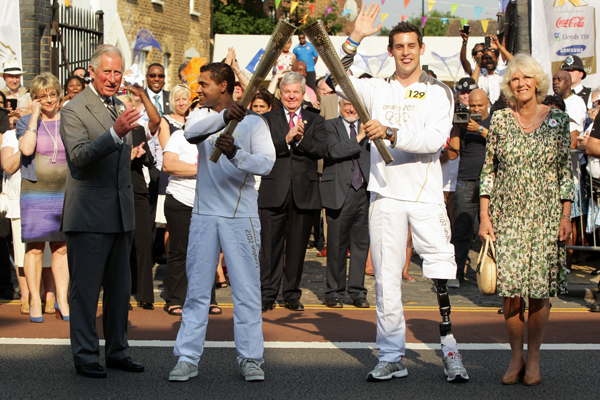 Prince Charles, Duke of Cornwall, and Camilla, Duchess of Cornwall, pose with young entrepreneur Jay Kamiraz and Paralympian Scott Moorhouse as they kiss together Olympic torches in Tottenham. 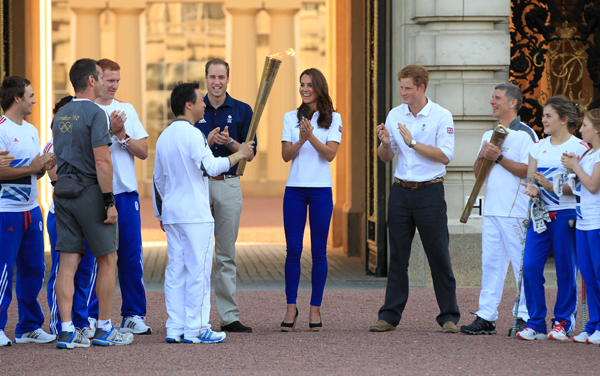 Day 69 (26th July): Disaster mapping charity volunteer Wai-Ming Lee passes the Olympic Flame to mountain rescue team leader John Hulse in front of Buckingham Palace in the presence of Prince William, Kate, Duchess of Cambridge and Prince Harry. 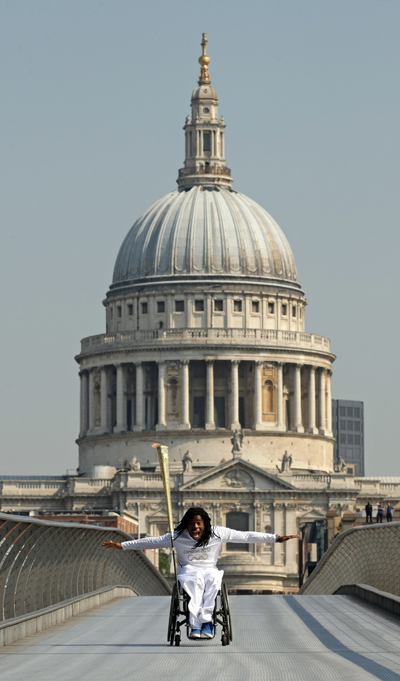 Wheelchair basketballer Ade Adepitan carries the Olympic Flame on Millennium Bridge. 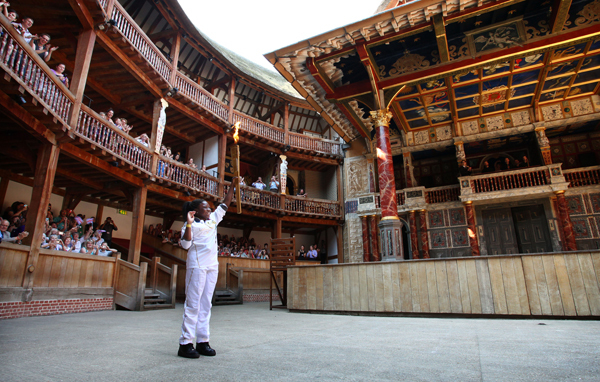 Student Ifeyinwa Egesi holds the Olympic Flame inside the Globe Theatre.